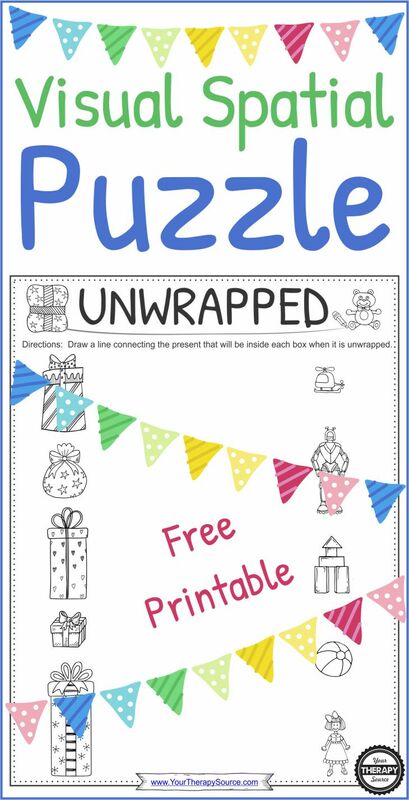 This FREE holiday visual spatial puzzle is a fun challenge to complete on any holiday. Many of you work in school districts where there can be no mention of a specific holiday. This printable is secular – gifts and presents. Maybe you celebrate Christmas, maybe Hannukah, maybe it is a birthday party, whatever the holiday can you guess what is inside each gift when it is unwrapped? Children will have to use their visual skills to estimate the size and shape of the gift and which toy fits inside. Draw a line from the gift to the correct toy. It is in black and white for economical printing and cute illustrations suitable for all ages. If you need more difficult visual-spatial activities, check out Visual Spatial Mazes. Need more seasonal visual perceptual activities? Check out all of these titles for throughout the year. 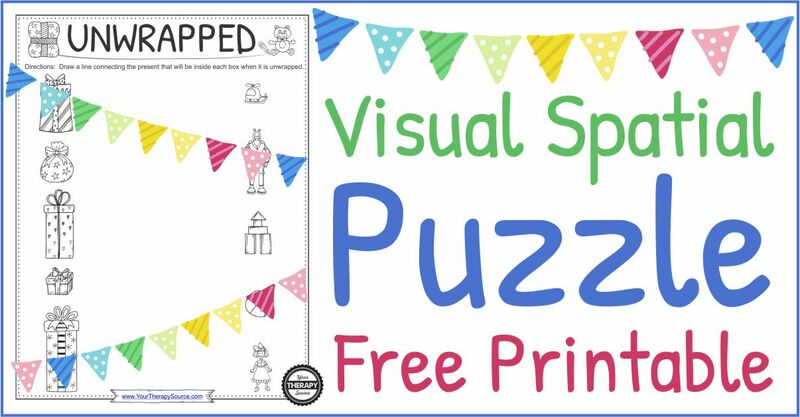 To download your FREE holiday visual-spatial puzzle, sign up to receive our newsletter. If you already receive it, just enter your email and you will be redirected to the download.